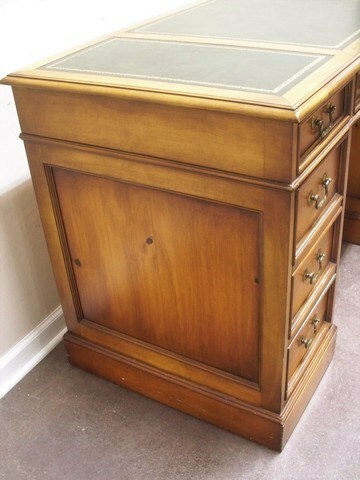 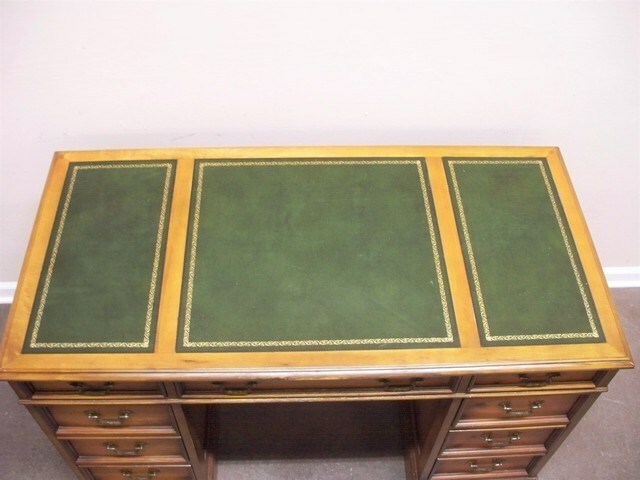 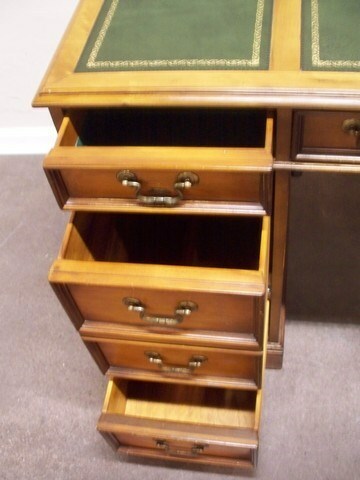 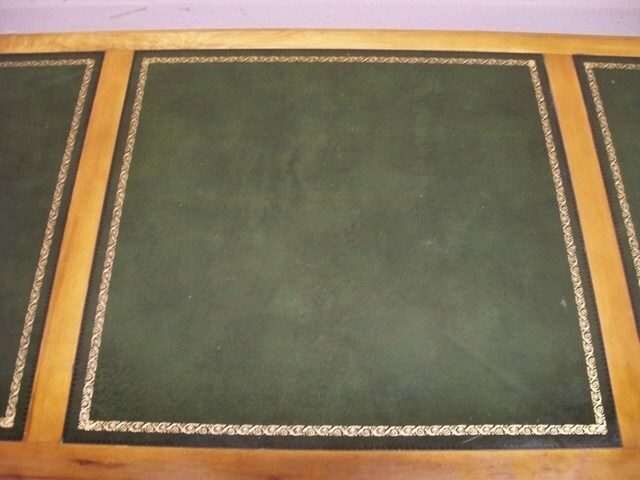 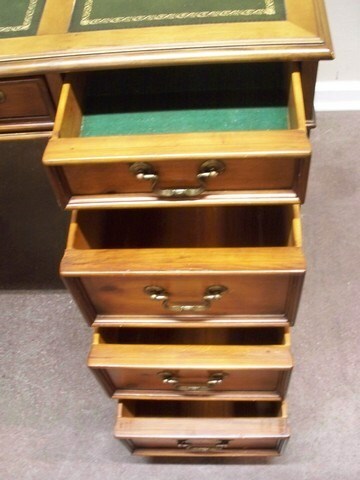 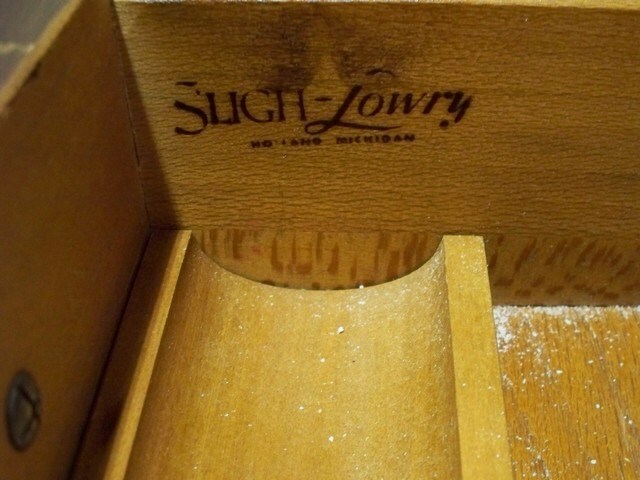 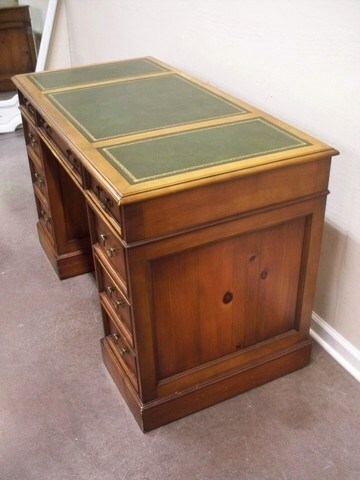 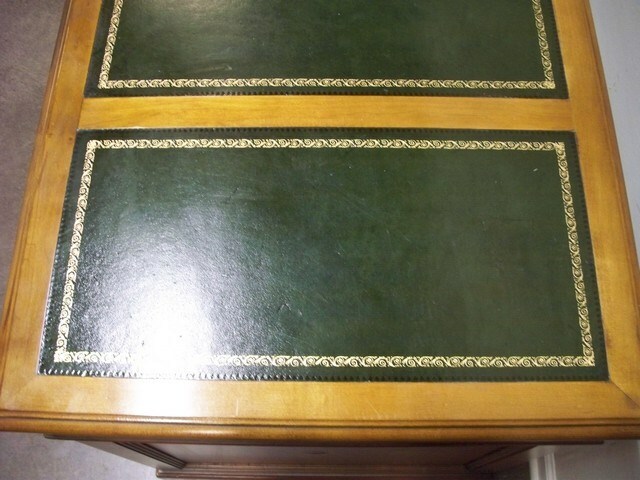 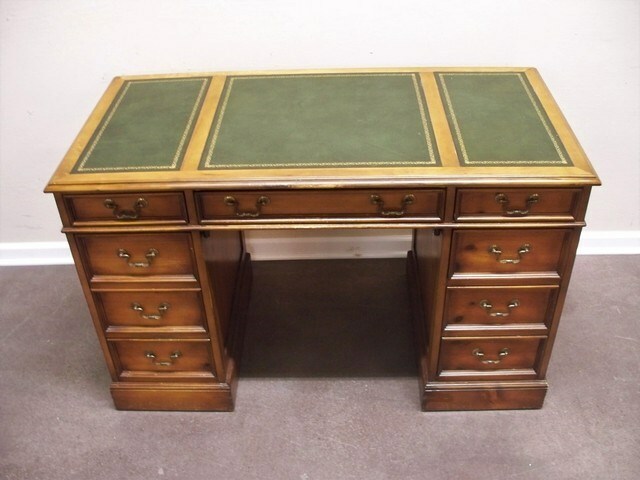 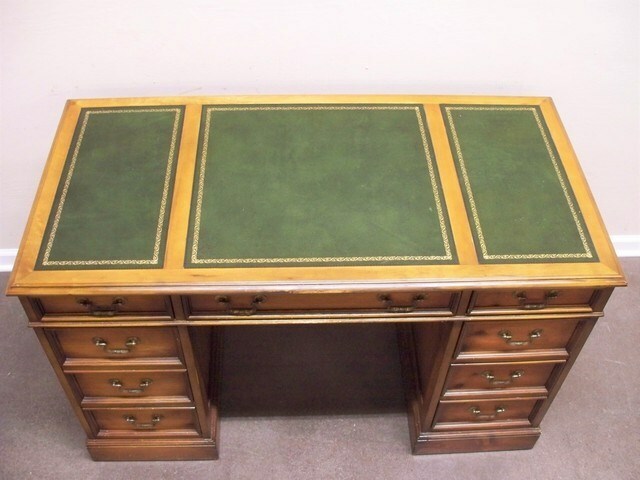 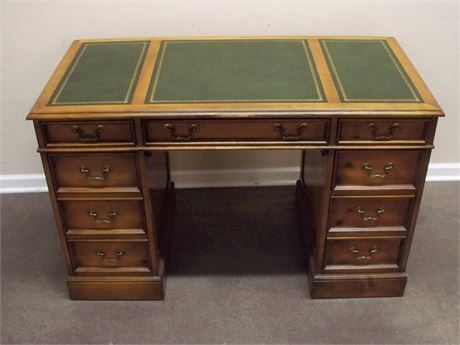 Vintage Sligh & Lowry Green Tooled Leather Top Kneehole Desk with Dovetail Drawers. 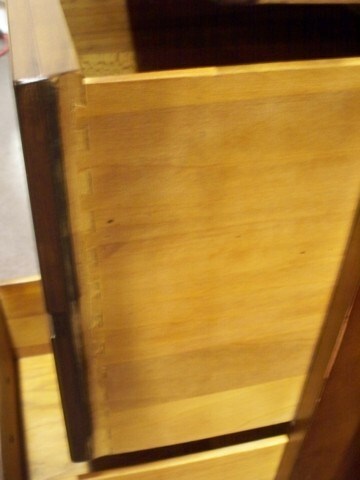 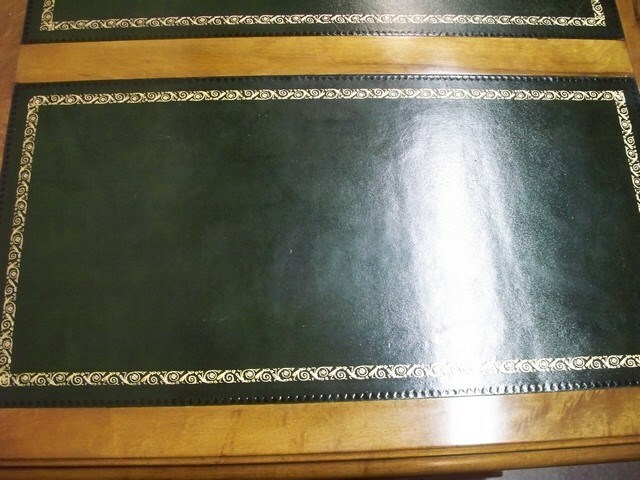 Some wear on the front edge of the desk, the leather top is in remarkable shape. 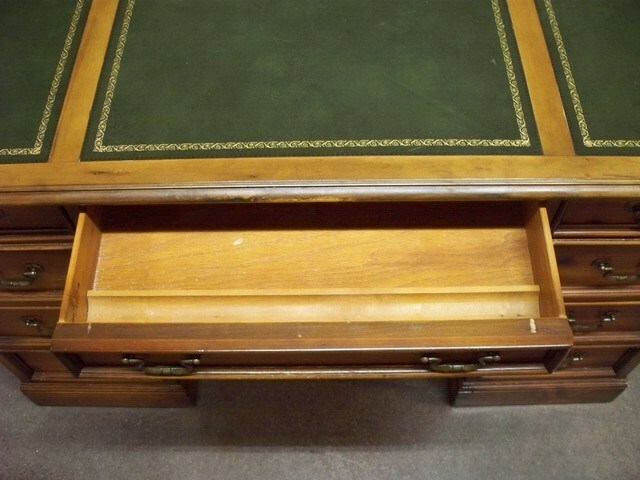 Hard to believe the table as even used.